To meet its mission, the NHC is composed of several units. The Hurricane Specialist Unit (HSU) maintains a continuous watch on tropical cyclones and areas of disturbed weather within the North Atlantic and eastern North Pacific basins. The HSU prepares and issues analyses and forecasts in the form of text advisories and graphical products. The HSU issues coastal tropical cyclone watches and warnings for the United States and its Caribbean territories and provides watch and warning recommendations to other World Meteorological Organization (WMO) Region IV meteorological services. The HSU also conducts an extensive outreach and education program, training U.S. emergency managers and representatives from many other countries affected by tropical cyclones. The Tropical Analysis and Forecast Branch (TAFB) generates analyses and forecasts over the tropical and subtropical eastern North and South Pacific and the North Atlantic basins year-round. TAFB products include but are not limited to: High Seas, Offshore Waters, Marine Weather Discussion, Tropical Weather Discussion, and graphical surface and ocean wave analyses and forecasts. This branch also produces satellite-based rainfall estimates for the international community. Click here for a description of TAFB products. 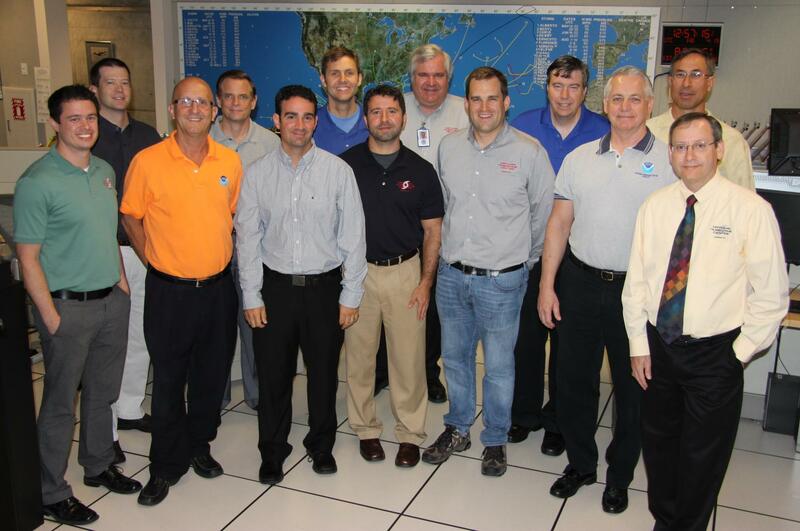 The TAFB supports the HSU by providing tropical cyclone position and intensity estimates based on the Dvorak technique, conducting media interviews, and assisting in tropical cyclone operations. The Technology & Science Branch (TSB), often in conjunction with other government and academic entities, develops and transitions new tools and techniques into operations for tropical weather prediction. TSB has been instrumental in the creation and continued development of the Automated Tropical Cyclone Forecasting (ATCF) system, used to incorporate various data and model outputs and to generate tropical cyclone forecasts. The TSB provides support for NHC computer and communications systems including the NHC website. In addition, TSB maintains a number of statistical and dynamical models used in predicting both tropical cyclone behavior and associated weather conditions. The Storm Surge Unit, which is part of the Technology & Science Branch, forecasts the abnormal rise in sea level accompanying tropical cyclones using the Sea, Lake, and Overland Surges from Hurricanes (SLOSH) computer model. The Storm Surge Unit prepares storm surge atlases for use by emergency managers in developing evacuation procedures for coastal areas. Additionally, the Storm Surge Unit performs post-storm analyses, storm surge model verification, and continually conducts education and outreach to alert the users of the dangers of storm surge. The Chief, Aerial Reconnaissance Coordination, All Hurricanes (CARCAH) unit is a remote operating location of the 53rd Weather Reconnaissance Squadron (Hurricane Hunters). CARCAH’s mission is to coordinate all tropical cyclone operational reconnaissance requirements at NHC and the Central Pacific Hurricane Center for the North Atlantic, Caribbean, Gulf of Mexico, and the North Pacific east of the International Date Line in accordance with the National Hurricane Operations Plan. In addition, during the winter, CARCAH coordinates the Atlantic and Pacific winter storm requirements in support of the National Winter Storms Operations Plan. Missions are flown in advance of the high-impact weather events forecasted to affect the U.S., such as heavy snowfall. 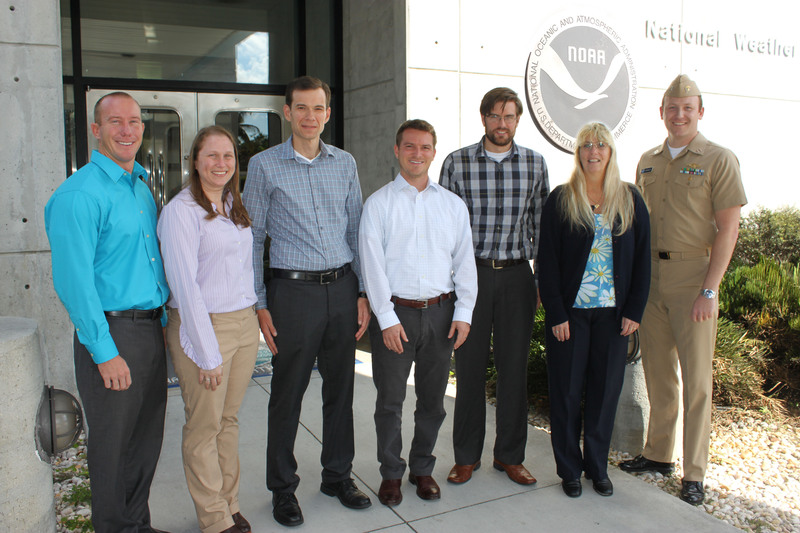 The Hurricane Liaison Team (HLT) supports hurricane response operations through the rapid exchange of information between the NHC, the National Weather Service (NOAA/NWS), and the emergency management community. The HLT is composed of Federal, state, and local emergency managers and NWS meteorologists and hydrologists who maintain open lines of communication about the progress and threat level of the storm with appropriate Federal, state, and local officials. 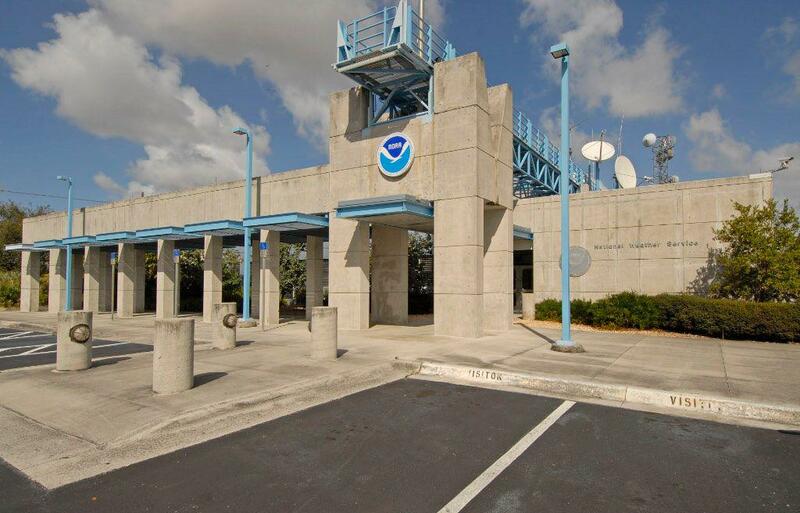 The team establishes and facilitates video and/or teleconferences with the NHC, FEMA and other Federal agencies, state Emergency Operations Centers (EOCs), Weather Prediction Center (WPC), Storm Prediction Center (SPC), and River Forecast Centers (RFCs).